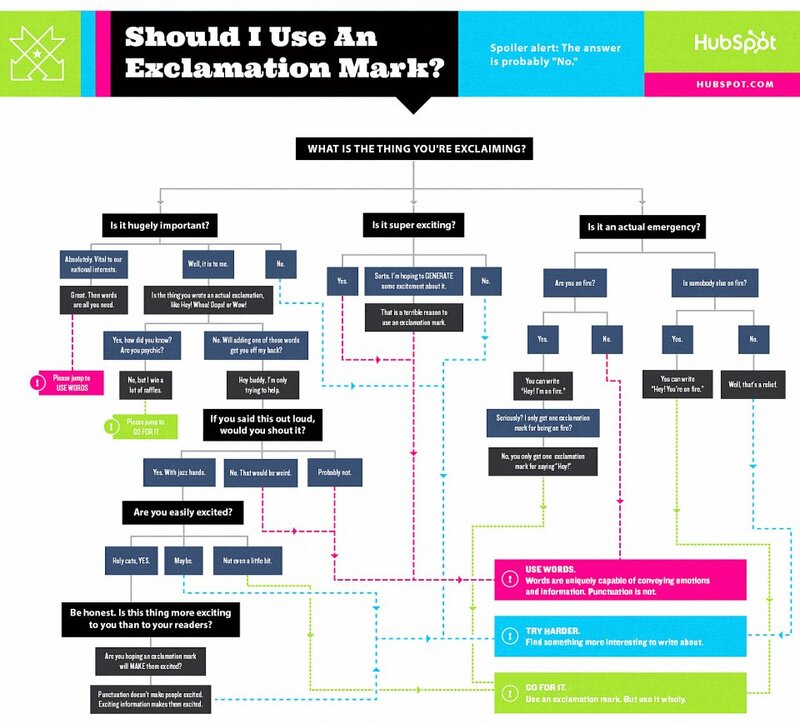 #InfographicInspiration: The Workplace Is Tired of Exclamation Points!!! Admittedly, I am guilty of using too many exclamation points in my emails and texts, but I do try to avoid them in what I write in the workplace. It turns out that is the right choice, according to the Business Insider article Stop Using Exclamation Points At Work! The article ends with the flowchart shown below, which suggests that most of the time, you should not use exclamation points. It’s a fun flowchart—though perhaps not the acadmic study. Even so, it’s a good reminder and a nice distraction for these last days of class.